As a young boy, founder Ferris Rezvani aspired to become a fighter pilot just like his father. In order to develop a thrill similar to flying an F-4 fighter jet, Mr. Rezvani set out to create an extreme sports car that gave drivers the opportunity to experience the same exhilaration and g-forces behind the wheel. This is represented in the Rezvani emblem, with wings representing his roots in aviation and steering wheel and racing stripes representing the brand’s dedication to driving. Rezvani Motors is an automotive designer and manufacturer of high-performance supercars based in Irvine, California. Rezvani Motors was founded by Iranian-American entrepreneur Ferris Rezvani, one of the designers of Vencer’s Sarthe supercar who formerly worked with Aston Martin, Ferrari, and DBC. The company’s main product is the Rezvani Beast, a self-funded project by Rezvani. Rezvani Motors released the Rezvani Beast. 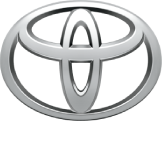 Rezvani Motors’ vehicle production is done in a 50,000-square-foot facility RAD is operating in Santa Ana, California. In May 2015, Rezvani Motors released details and photos of the Rezvani Beast. In June 2015, Rezvani unveiled the production version of its supercar allowing customers to order the car with an 8- to 12-week production process. Chris Brown purchased the first Rezvani Beast in 2015 for $200,000. The car was used in the filming of Brown’s single “Liquor.” The 500 horsepower street-legal race car has no doors, no roof, and weighs just 1,650 pounds. International pop super star Enrique Iglesias chose to drive the Rezvani Beast Alpha in his music video hit El Bano that has been directed by Iranian director Ali Zamani. 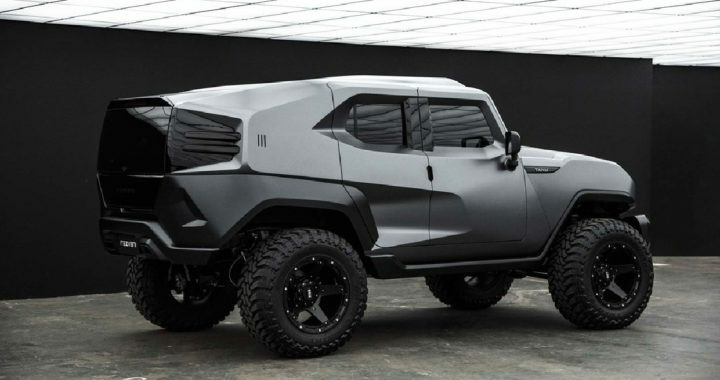 Rezvani unveiled its extreme utility vehicle named TANK in November 2017. TANK is designed to be a military style truck for the road. Some of the key features the TANK offers are as follows, optional ballistic armor bullet proof to B4 and B7 Levels, glass and all opaque armor, firewall, bomb protection, reinforced suspension, Military Runflat Tires, Intercom System and the TANK is powered by a 6.4L V8 Dodge Hemi engine and on demand 4 wheel drive. The TANK has more advanced options such as a thermal night vision system, bullet proof glass rated at up to Ballistic level 7 (high caliber weapons including armor piercing rounds), composite armor around the passengers, a rear tack dispenser, electrified door handles, magnetic dead bolts, blinding lights, gas masks, hypothermia kit, hidden radiator, and kevlar wrapped fuel tank. The Rezvani TANK is built in the US in Rezvani’s Irvine, CA plant. The Rezvani TANK has an offload suspension system designed by FOX racing suspensions. Owners of TANKs include Jamie Foxx, Rampage Jackson, and Chris Brown. Using knowledge obtained from the development efforts with supercar manufacturer Vencer Cars in Europe and the Vencer Sarthe, Mr. Rezvani assembled a strong team of designers, manufacturers, racing engineers, and high-performance engine experts. The team developed one of the most extreme and reasonably- priced cars on the market today. BEAST™ is the creation of Rezvani Motors, with design consultation by renowned and award-winning automotive designer Samir Sadikhov. Sadikhov is known for other designs such as the Ferrari Xezri and Aston Martin DBC concept. Rezvani Motors was founded in 2014 by Ferris Rezvani. In June of that year, Rezvani Motors introduced the Rezvani BEAST supercar based on the Ariel Atom that uses the Ariel Atom chassis with a lightweight carbon fiber body. It is American-made using several British built Ariel Atom parts. The car has a six-speed manual transmission with a rear-wheel layout. The windshield is removable and the car weighs approximately 1,650 pounds. The custom production uses custom fit 3D printing and CNC milling technology for an estimated 1,500 labor hours of work. CNC routing is used to make a 3D version of the car. The 3D print is used as a mold for the carbon fiber panels. Advanced 3D printers create other parts of the vehicle such as lights and mirrors. The first Beast will be delivered to an owner in Texas. In November 2016, Rezvani unveiled the Beast Alpha as an upcoming version. The Alpha will add Rezvani’s newly patented “Sidewinder doors”, a hardtop, power windows, power locks, airbags, and full climate control. Posted in History and tagged Introduction of the Rezvani Tank, Rezvani Tank Models and Price, Who is Ferris Rezvani.